While California water officials deal with historic flooding and neglected infrastructure as well as emergency efforts to protect people and property from the next storms, our federal bureaucracy is also hard at work. Except its hard work is directed at putting up roadblocks to the very emergency repairs California officials are rushing to complete. 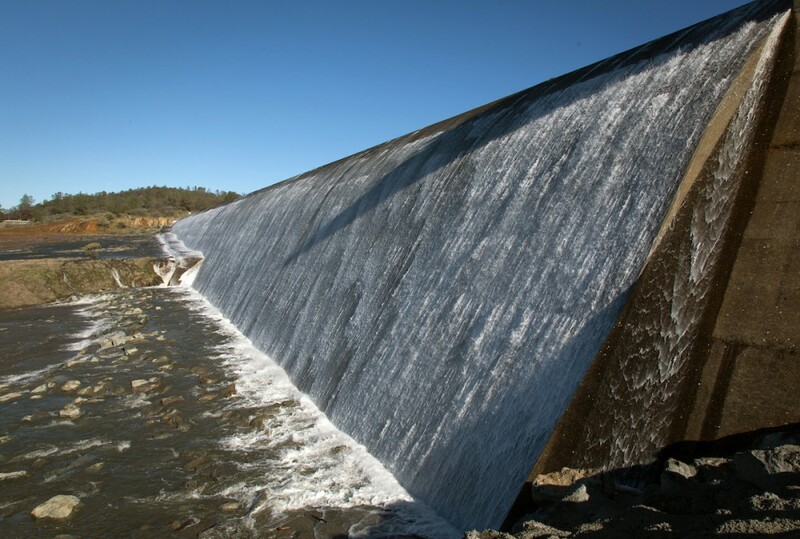 A four-page letter sent recently to the Federal Energy Regulatory Commission (FERC) by the National Marine Fisheries Service (NMFS) makes outrageous recommendations that will confound efforts to begin repairing the damage at Oroville Dam. FERC maintains authority over the Oroville Hydroelectric Project. The California Department of Water Resources stopped releases from Oroville’s main spillway on Monday, February 27 in order to begin dredging soil and concrete that are blocking Oroville’s power plant. Getting the power plant back on line will help regulate releases from the dam during the remainder of the rainy season, which will enhance public safety. Only working on Oroville repairs at night, instead of letting repair work proceed as quickly as possible. Taking time away from necessary repairs to survey the locations of fish that may still be in the river, and mandating a detailed level of data-collection down to checking date, time and location stamp on cameras. Requiring time taken away from emergency needs to “deploy as many people as possible” to survey fish. There are more storms on the horizon as well as a record snowpack eager to melt this spring. Time is of the essence. DWR was right to shut the spillway and begin work as soon as possible in order to begin the clean up. The 180,000 people who evacuated two weeks ago should not be held hostage to a bureaucratic process that will slow progress on repairing the storm damage. “This winter’s record-breaking storms have tested our state and its infrastructure in ways no one could have predicted. The past week has been particularly frightening for people in and around the City of Oroville. We’d first like to say how glad we are that hundreds of thousands of people were able to safely evacuate and that the emergency spillway helped provide the necessary time to do so. There has been a lot of finger-pointing and talk about whether the structure should have been made even stronger. Unfortunately, facts sometimes get lost in a crisis. As was pointed out by Jeffrey Mount of the nonpartisan Public Policy Institute of California, the Oroville structures had successfully handled the big flood of 1997. The emergency spillway as well as the dam itself were re-checked and re-licensed a decade ago, and deemed safe and capable of handling what at the time, experts believed would be the worst-case scenario. It’s also important to point out that the spillway in question was an extra precaution taken in addition to the regular overflow mechanisms. The licensing agency, the Federal Energy Regulatory Commission (FERC), even noted that in an extreme event, some erosion of the emergency spillway would be likely. In other words, it performed as expected. California is facing an unprecedented amount of rain and snowfall this year, well above the wettest year in the state’s recorded history. Precipitation in the Northern Sierra this year is 221% above average.